The Personality of a Child Molester argues two main points. The first is that dreams, without free associations or amplification or knowledge of the dreamer, can shed considerable light upon the essential character structure, psychodynamics, and psychosexual development of such individuals. The second is that the frequency of occurrence of a dream element or theme is a direct measure of the preoccupation with that topic in waking life. Bell and Hall gather their evidence from a wide assortment of data. Such evidence helps increase our understanding of such people, whose life and self-revelations on first appearance seem to merit this special attention. Interestingly, their study involved little collaboration on the part of the authors. In fact, the authors only met each other two years after the project got underway. At that time they reached an understanding as to how the material would be presented. They decided to demonstrate child molesters' dream content from a theoretical perspective. The theoretical base provided by Freudian theory was used in this particular study because it seemed to provide the kinds of constructs that could be useful in describing the dreamer's personality. 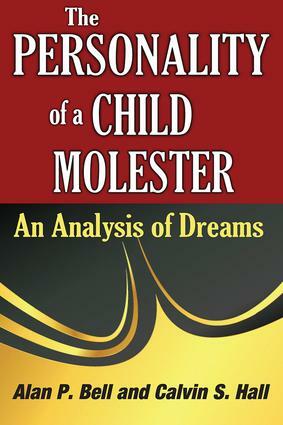 The authors attempt to explain why the dreamer who is a child molester is the sort of person he is, and his dreams are the source of evidence for the explanation presented. This study presented here has been used by behavioral researchers for years in trying to understand the personality of a child molester. It remains as relevant today as when it was initially published.